Well, the first week of buying no groceries has passed. 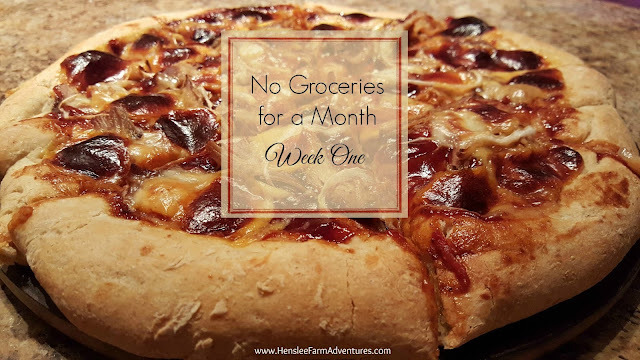 If you haven't read my post about my November food challenge, the you can read it here, but basically the challenge is to go through a whole month without buying groceries. Actually this week was not as bad as I had thought it would be. The excitement of the challenge was there to keep me going. Normally, I live for Wednesdays where I can read the grocery store ads and see what is on sale that week. 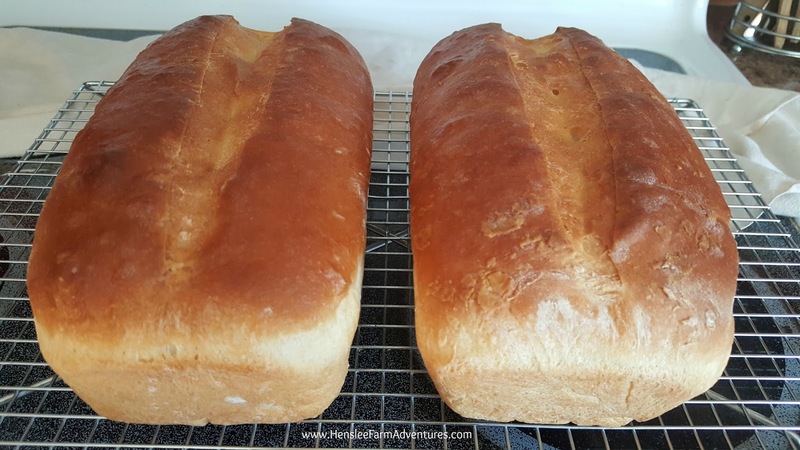 And now that the holidays are nearing, there is usually some pretty cool baking supplies that are available that aren't available at other times of the year. Or at least they are harder to find. But I was good, and didn't look at the ads until Friday, when my curiosity got the better of me. Old habits die hard I guess. Still there was nothing in those ads that tempted me. Another thing that helped a lot this week was the fact that we were able to stay home every night! That hasn't happened in a couple of months. But football and cheerleading are over for the time being. Nothing starts again until the middle of January. We do have church on Sundays and cub scouts on Mondays, but the rest of our days are our own. Being able to stay home during the evenings this week, allowed me to fix supper every night. It wasn't always a grand meal, but we were able to use up some food from our freezer and pantry. Here is the real kicker. Even though we didn't buy any food (see below for a few exceptions), we did receive some food. A friend whose son has started taking piano lessons from me brought us some deer meat, and some bierocks that she makes which are awesome! I put those in the freezer and I can take one of those to lunch when I don't have anything else! We also received some fresh veggies from my mother-in-law. She had bought some for a party she was having and she didn't want the left-overs so we ended up with them as well. We also received a gift of a very nice beef roast from some friends of ours. What amazes me is how blessed we are that even though we aren't buying food, we still receive it. This same thing happened to us last year, during a no-spend month. God does provide! Sunday: Beans and Ham with cornbread and slaw. BBQ Pulled Pork Pizza - made from leftover pork roast. It wasn't until Friday that I started making things from scratch, and making due with what I had. 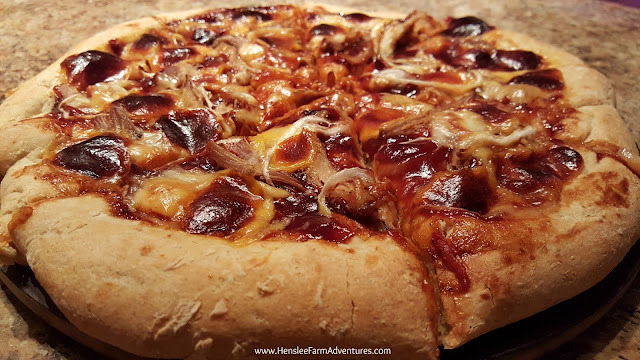 I really wanted to make a BBQ pork pizza, but we didn't have pizza crust and we didn't have shredded cheese. So I found a somewhat quick pizza crust recipe on Pinterest. The one I usually use takes 1 1/2 hours rising time. I did not have that much time. While we didn't have shredded cheese or sprinkle cheese as we call it in our house, we did have sliced cheese that I cut up into little squares and used. 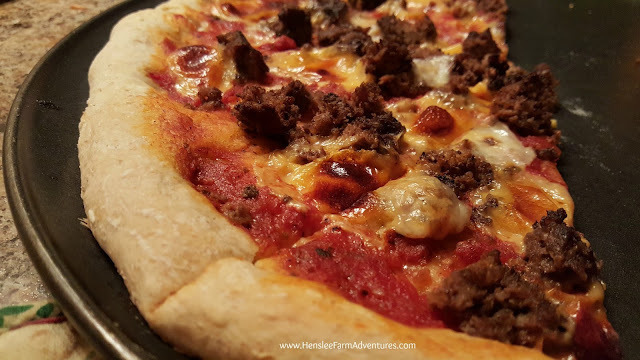 The crust turned out great, and no one was the wiser when it came to the cheese! The kids devoured the hamburger pizza before I could take a picture. 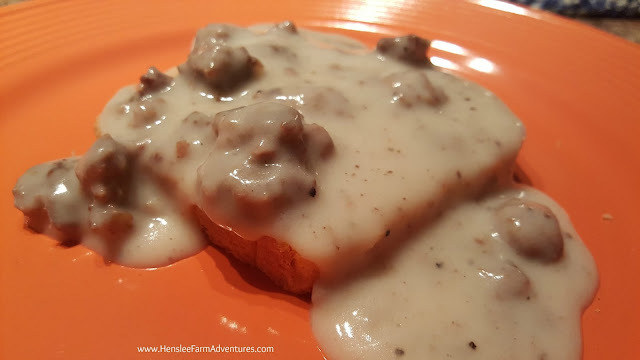 As for Saturday's meal, that morning I had made biscuits and gravy for breakfast. I usually don't cook breakfast except for on weekends. We ended up with left-over gravy and I still had a hamburger patty left-over which gave me the idea for SOS, or as my husband says slop on a shingle. Actually that first "s" stands for something else, but I will leave that up to your imagination. SOS or Slop on a Shingle as we call it. I also made two loaves of white bread to put the hamburger gravy on. I really was afraid that this meal was going to be a flop. Growing up we would have it every once in a while. In my early twenties, I used to fix it quite a bit because it was inexpensive and easy. I didn't know how Steve and the kids would react to it. To my surprise, they loved it! So the big question is, did we buy any groceries? Well...kinda. When I made the pizza crust on Friday, I realized that I didn't have that much yeast. And then I used almost all of what I had left on Saturday for the bread. So Sunday we went to Wal-Mart and we bought yeast, as well as coffee creamer, Pepsi (my husband's addiction), and potato chips (also my husband's addiction). If it was up to me alone, I would have bought the yeast and that would have been all. But I'll admit since my husband wanted the coffee creamer, I will enjoy that as well. As for the Pepsi and the chips, well they are all his. I'm hoping that the second week goes a little better and that I will be able to tell you that we bought no groceries! On a positive note, my mom has a turkey for Thanksgiving, so we won't have to buy one! I'll be getting a turkey from her to cook for our festivities. So did you decide to do this challenge? If so, comment below and let me know how your week went. Amy, I agree eating up leftovers and not throwing anything out is a step in the right direction! If I can go through a week without wasting food, I consider that a major accomplishment! Laura, I just decided one day, there was no planning ahead, which is one of the reasons why I had to buy yeast. I didn't realize I was so low. As for the milk, we are not big milk drinkers. Carly, my youngest, is allergic to dairy so milk is not something we really use a lot of. If I need it in baking (which Carly can tolerate), for this month, I will just use powdered milk which I already have on hand. My garden was doing well, until this latest freeze. I still have onions and a few turnips that I can gather. I am trying to figure out how I can continue to grow a few things through the winter. I think it is great that you are wanting chickens and to start a garden! Hey Barbara! Steve is planning on building some cold frames for me. We are going to be using the above ground garden frames that we built this fall, and then use some old windows that we have been saving. I'm not sure when this will get done, but when it happens, I'll share with you! DIY Teacher Gift for Christmas!